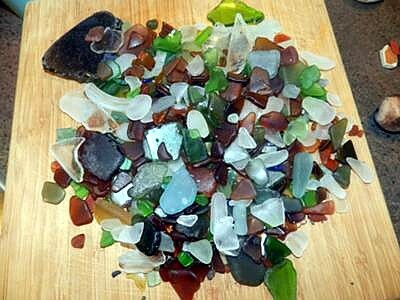 I have found many colours on this beach. Including, cobalt blue, brown, clear, light blue, orange, move purple, and a few bits of red. The location of this beach is on the west side of Vancouver Canada. Up the beach is known for boaters. Once i went to Jericho beach like i always do. i was with some friends. i went back and fourth combing the beach. 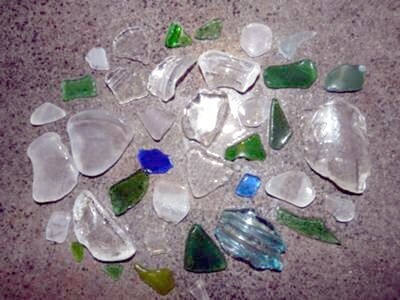 Then i found five purple pieces scattered on the end of the beach where the fence is to the sailing club. and that was the best find ever! 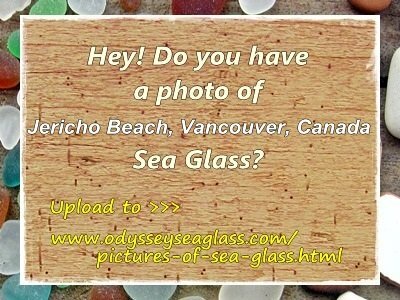 Cheryl - British Columbia, Canada This photo was taken in British Columbia, and the beach glass was found on an tiny spit of beach in Victoria, BC. "...all the information you need to plan a great trip to this four-season destination on Canada's idyllic west coast. 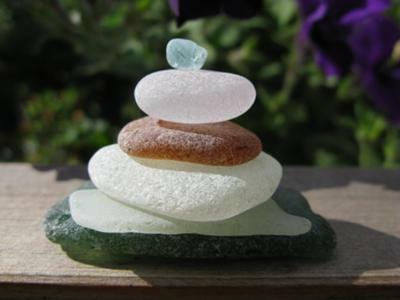 It's all here: the real scoop on the best..."
However, you don't state if these are well-frosted jewelry-grade pieces or if they are raw craft-grade pieces. I looked at pics of the beach on the web but it doesn't look like there are any waves in any of them. So I'm thinking the glass is not very good quality. If you could post a few photos, that would be great, then we would know for sure.